Imagine one billion faces for peace. 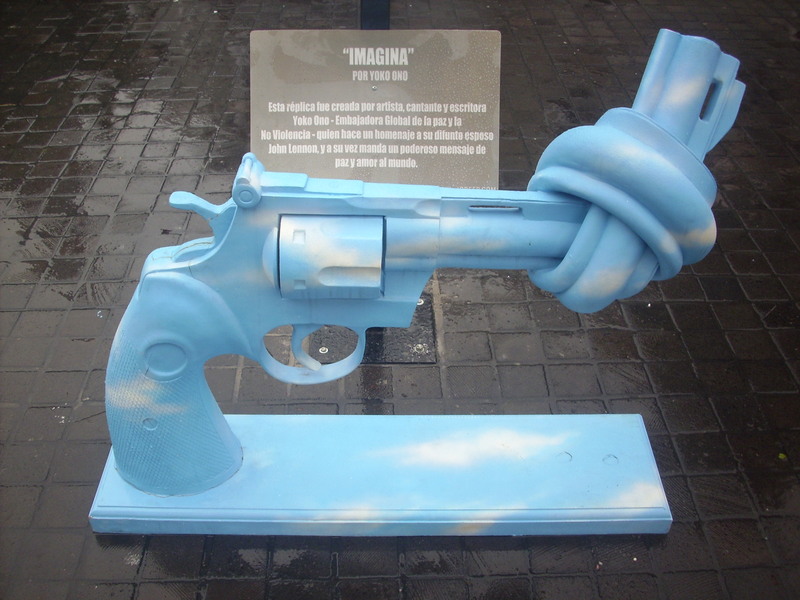 This is the goal of the Non-Violence Tour, which has brought its “Pistols for Peace” urban exhibition to Guadalajara. A series of pacifist artworks are now on display until December 13 on the Rambla Cataluña beside the University of Guadalajara rectory on Avenida Juarez. 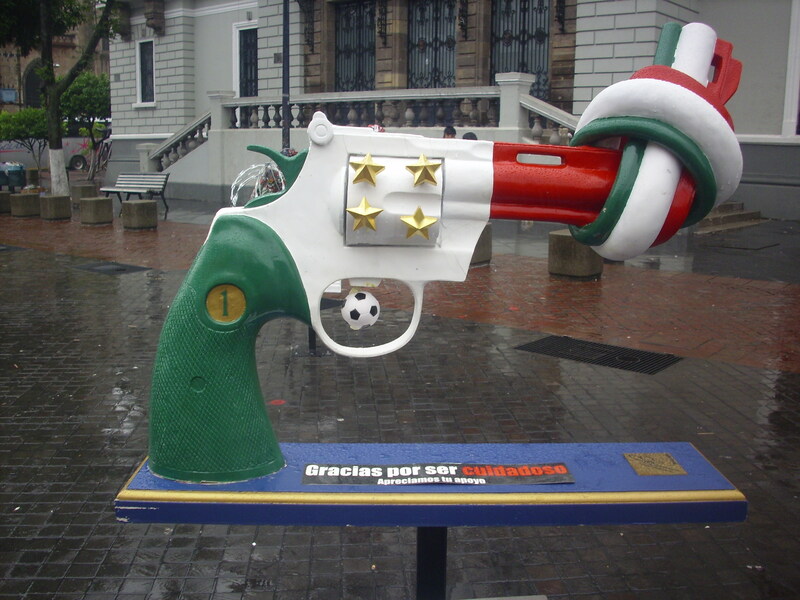 Featuring individually painted revolvers with their barrels twisted in a knot, the sculptures were created or inspired by a range of well-known figures and local artists, including John Lennon’s widow Yoko Ono, Tapatio soccer star Javier “Chicharito” Hernandez, and Italy’s veteran World Cup-winning goalkeeper Gianluigi Buffon. The symbol of a subverted pistol was originally created as a memorial tribute to the Beatles’ John Lennon, an outspoken peace advocate who was murdered in New York on December 8, 1980. The pistols have traveled the world from Verbier in Switzerland to London’s Trafalgar Square. More locally they have been displayed in Mexico City and will next make their way to Rio de Janeiro, before returning to Mexico to be shown in Monterrey. One aim is to establish training offices in every city the project visits, offering free courses on how to promote peace. “As a foundation, we have a series of education projects for children, explaining to them what violence is and how to prevent it,” said Mauricio Bermudez, director of the Non-Violence Project in Mexico. These unique artworks are well worth seeing and greater public involvement in the project could help transform this country. Go and check them out. In the words of the late John Lennon, give peace a chance. For more information on the Non-Violence Project visit http://www.iobffp.com.